Home Unlabelled Ex Pres.Obasanjo pleads with APC to carryout campaign promises made to Nigerians. 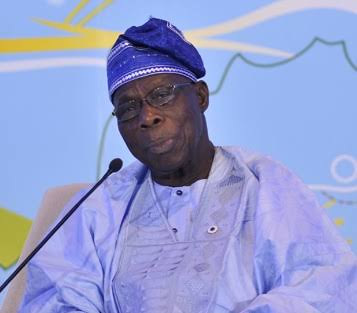 Ex Pres.Obasanjo pleads with APC to carryout campaign promises made to Nigerians. Ex president, Chief Olusegun Obasanjo, paid visit to Benue State, Governor Samuel Ortom and impel the All Progressives Congress (APC) Leadership to carryout all campaign pledges made to Nigerians during the campaigns for that is the reason why they are there. The octogenerian however, expounded that he paid Benue visit due to the development initiated by the administration of Gov. Samuel Ortom, to improve industrialisation in the State. The elder Statesman made this known at the new Banquet Hall of the Benue Peoples’ House, Makurdi during a dinner arranged for him by Gov. Ortom. Furthermore he, pleaded with the people of the state to work hand in hand with the administration of the governor to birth good leadership and urge farmers in the country to be in harmony so as to provide food security, jobs, goodhealth and wealth for the nation’s growth. In line with the former president, he believes in the potential capacity of Governor Samuel Ortom to birth selfless service to the state and enjoined the governor to support the important values of the layout of his tenure. “I believe that Governor Ortom is sincere. He wants practical development and I urge you people to constantly remind him of his promises and but support him to succeed,” he made this known.